It is a fantasy that is surely well written and well told. It’s about a boy who is first just worried about his school homework but soon he gets to know what are some other tasks in life that he has to fulfill in his life and not because of any destiny in which he emerges as the chosen one but because of the fact that he does not belong to the planet of humans. He is from a totally different planet that landed on the planet without any purpose at first. Keelic Travers starts his life with the humans which are not easy for him at the start, he lives an isolated life and is not in for friendship either. It is the alien forest that hides all the mysteries that Keelic has to explore if he wants to know the truth but as a child, he first feels scared not only from the forest but also what lies in it is perhaps too dark for a boy of his age. This is the first book of the series by Alexander Edlund who has quite nicely described the two different lives of a boy who has an alien identity to hide at first an along with it there is the burden of homework and school test which he had to bear. 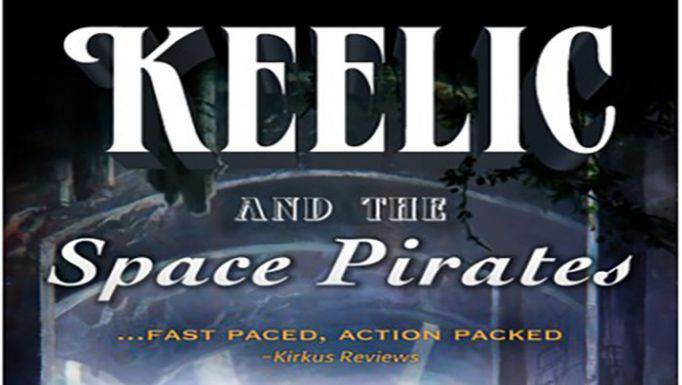 The story is a science fiction that starts in a new way as the relation with the alien world and the pirate’s issue comes quite late in the chapters. The narration of Greg Patmore keeps a nice gentle pace with the development of the story, the uttering of the words clear and understandable so it is a nice series to enjoy your weekend. Need more stories like this one? Miss Kopp’s Midnight Confessions: Kopp Sisters, Book 3 – Amy Stewart or Soulbound: Warhammer 40,000 – George Mann include stories that readers also have liked a lot.